Tuesday was day 50 on this Great American Road Trip! That’s right! Fifty days on the road and I’ll make it to San Diego by nightfall to end this epic journey. Just a few stops to make along the way. I’m now traveling along the coast on scenic Route 1. 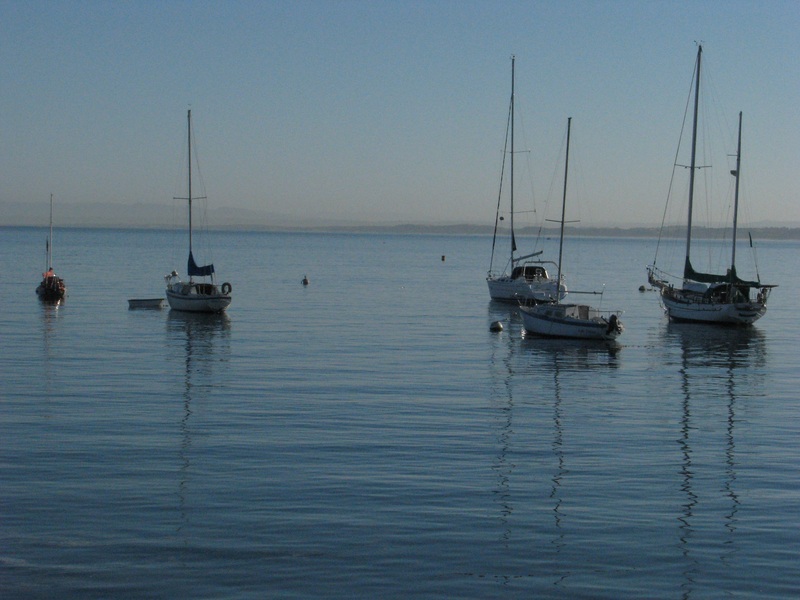 First stop on this beautiful morning was the coastal city of Monterey. I’d been to Monterey before, twice. My favorite place to visit while I’m there is the Coast Guard jetty, where if you walk to the end you’ll find the rocks littered with Stellar’s Sea Lions, Harbor Seals, California Sea Lions, Sea Otters, Northern Fur Sea Lions and Brandt’s Cormorants all basking in the sun, bleating, bellowing and honking out a lethargic symphony, strolling, rolling and lolling about making the rocky jetty seemingly alive, as if it were one large organism, one giant, restless leviathan. Take this path to the end of the jetty. This little guy had some fishing string tied like a noose around his neck, cutting into his flesh and reeking of infection. I found a U.S. Coast Guard lieutenant and showed him this poor sea lion. He made a few phone calls. Some local marine mammal rescue society said they would be over as soon as they could. I thanked the officer, knowing I did what I could and departed. 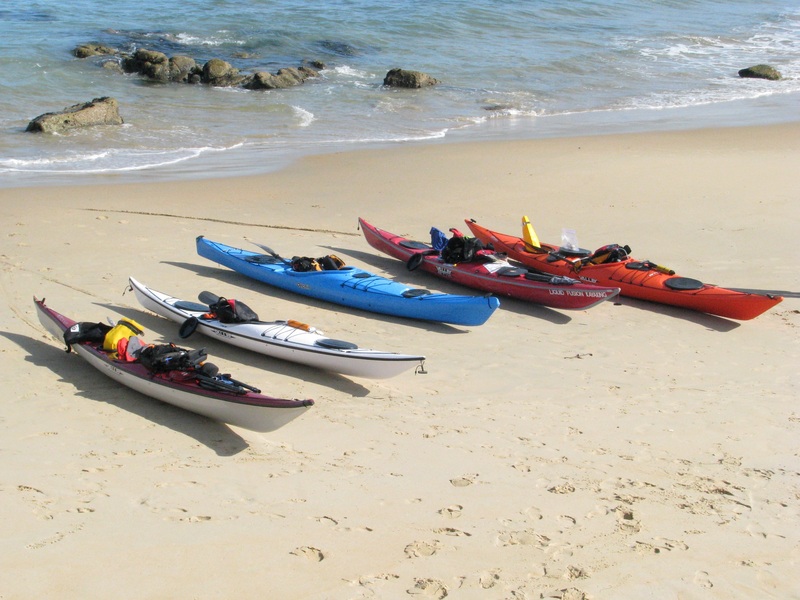 This jetty seems to be a mecca for scuba diving enthusiast. This intelligent little Sea Otter was floating on his back with half of a brick on his stomach and was using the brick to smash open crabs for lunch. 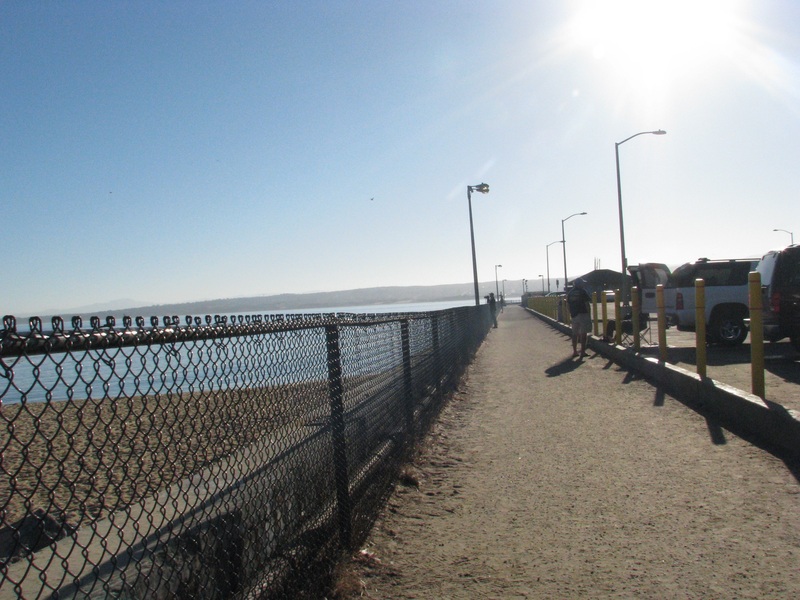 Nearby the marina and the jetty is Cannery Row, a quaint little area filled with hotels, restaurants, gift shops, the Monterey Bay Aquarium, all set among or converted from the old sardine canneries that once dominated here. All are within walking distance and are connected by a walking/bike path. John Steinbeck lived, worked and wrote here. His novel, Cannery Row, which is set in 1945 during the Great Depression, revolves around the fictional denizens who lived here, the people who worked in the sardine canneries, the store owners, the marine biologists, the vagrants and the prostitutes. Steinbeck is also famous for such writings as East of Eden, Of Mice and Men, The Pearl, the Pulitzer Prize-winning The Grapes of Wrath and, my favorite, an autobiography of life on the road called Travels With Charlie. He also won the Nobel Prize for Literature in 1962 for his entire body of literary work. 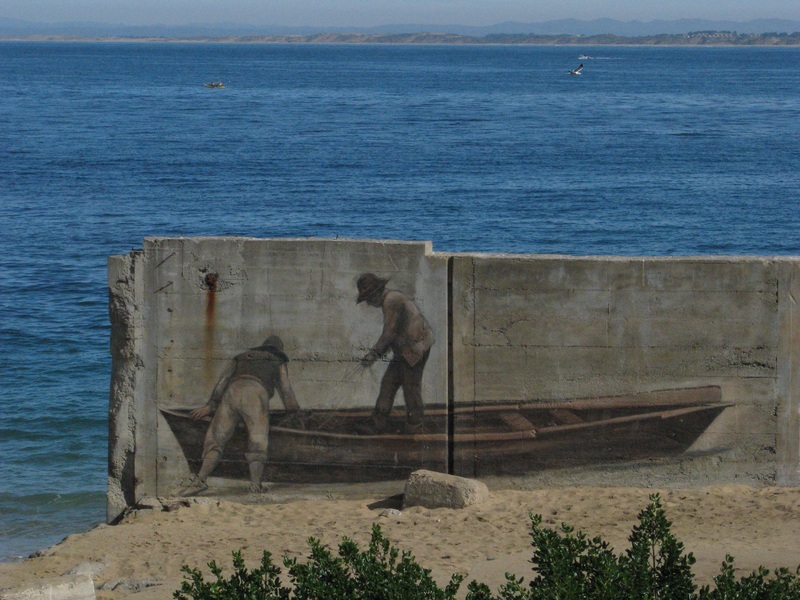 Things in Monterey have changed over the decades, as things often do, with a tidal wave of tourism washing over the area, most of which can be attributed to Steinbeck and his novel. All in all, it’s a pleasant place to visit…especially in the morning when there’s more wildlife than people. I hope you take the time to read Steinbeck’s truly American gams.